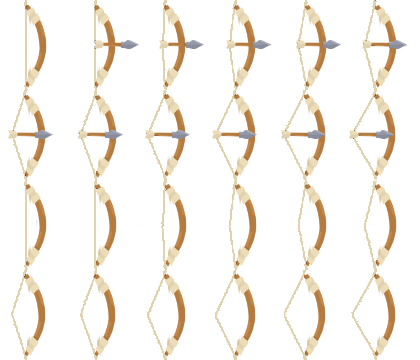 I used GIMP to create this, by combining the bow and the arrow pictures from the Kenny assets, and adding the string. last 12 frames should be played backwards for this to work.. think about it for a second... ye. I'm not a professional animator. What Kenny pack is this from? Just great! 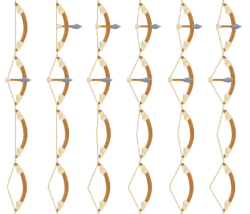 this will come handy for my archer character! @Styno333: looks like the Voxel pack.